The Australian Publishers Association (APA) has announced the winners of the 2017 Educational Publishing Awards Australia. 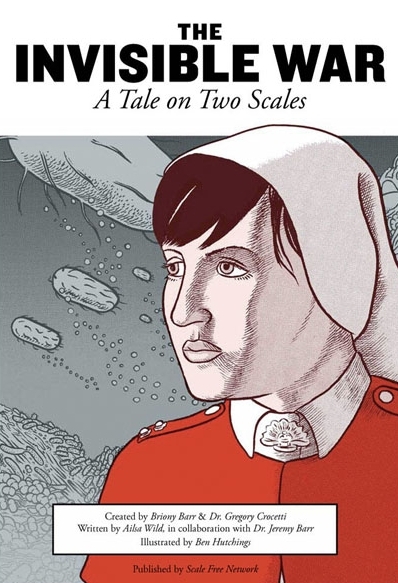 The graphic novel The Invisible War: A Tale on Two Scales (Briony Barr, Gregory Crocetti, Ailsa Wild et al., Scale Free Network) received the overall Award for Excellence in Australian Educational Publishing. The cross-curriculum resource, which draws on science, history and English subjects, introduces readers to the microbiology of the gut and life on the Western Front during World War I. The judges said The Invisible War ‘raises the bar of excellence in content and method for furthering student understanding’, and ‘stands out from other products in the market through its writing and layout, designed to avoid overloading the reader while they are engaged in the story’. Origo Education was named Primary Publisher of the Year and Oxford University Press was named Secondary Publisher of the Year. The winners were announced at a ceremony in Melbourne on 20 September.